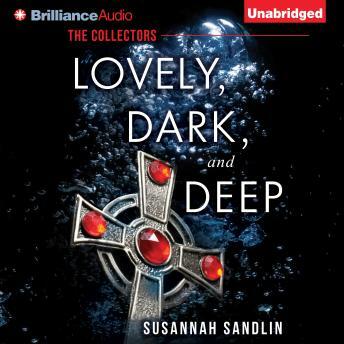 From award-winning author Susannah Sandlin comes a heart-pounding romantic thriller that pits a quick-witted scientist and a scarred ex–combat diver against a ruthless billionaire treasure hunter with ties to the White House. When biologist Gillian Campbell makes an offhand comment about a family curse during a TV interview, she has no idea what her words will set in motion. Within days, Gillian finds herself at the mercy of a member of the C7, a secretive international group of power brokers with a dangerous game: competing to find the world’s most elusive treasures, no matter the cost, in money or in lives. To save her family, Gillian teams up with Shane Burke, a former elite diver who’s lost his way, navigating the brutal “death coast” of the North Atlantic to find what the collector seeks: the legendary Ruby Cross of the Knights Templar, stolen by Gillian’s ancestor and lost at sea four hundred years ago.